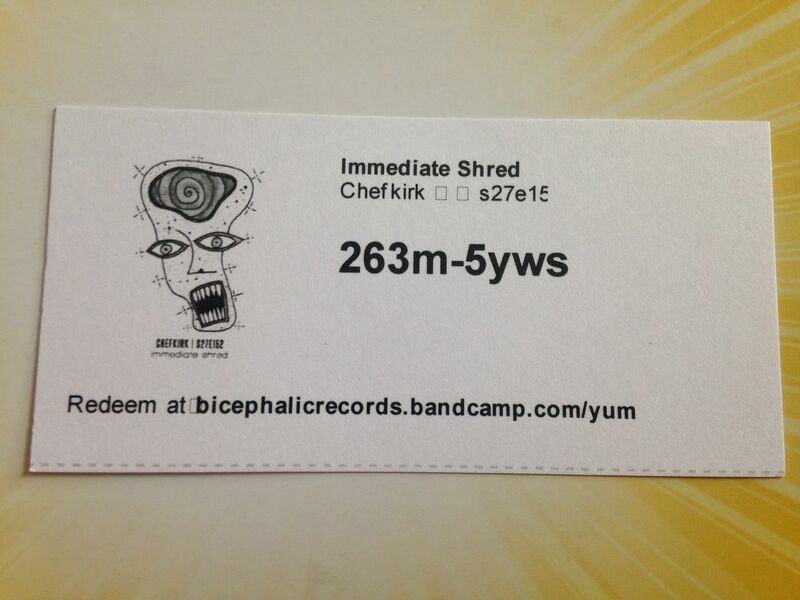 I received the final two in the Bicephalic Records split series together and decided to listen to this one first. 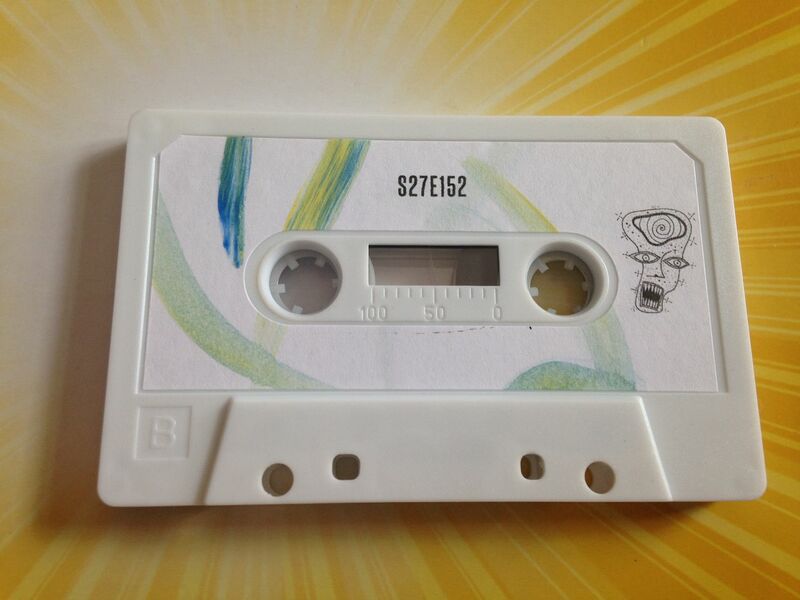 On the other split, which I will listen to later, is faint glow who I recognize from being on an earlier Bicephalic split, so I decided to go with the two artists I didn't know before the cassette featuring one artist I did (sort of) know and one whom I do not yet know. I'm not sure why it worked out this way exactly, it just kind of did. 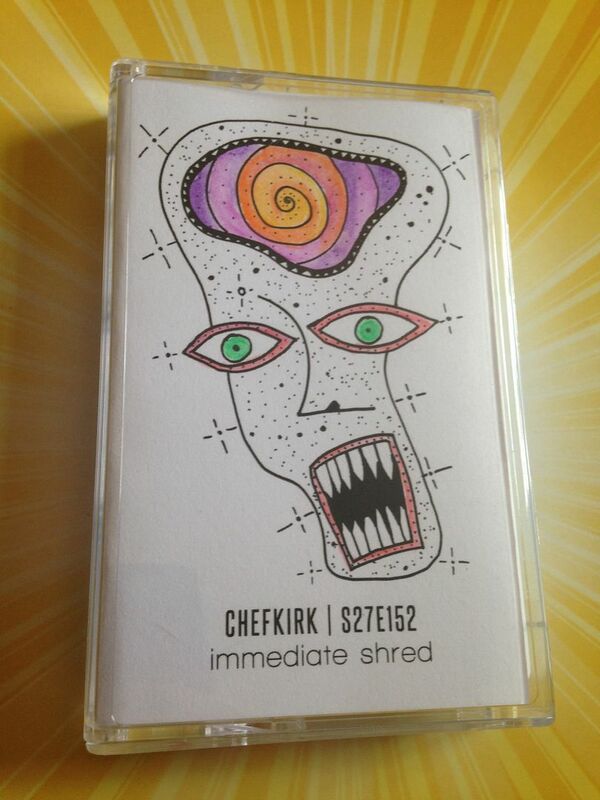 Chefkirk begins Side A with loud static which can remind me of a garbage disposal. This somewhat lingers while a clicking, a shuffling, a skipping (while the number 99 is said) and then a screeching locomotive sound can be heard. Transformers loops bring about the mechanical side of it all before a bugzapper or that ol' plugging into an amp feel comes out. This, also, has the sound to me of an electric razor. 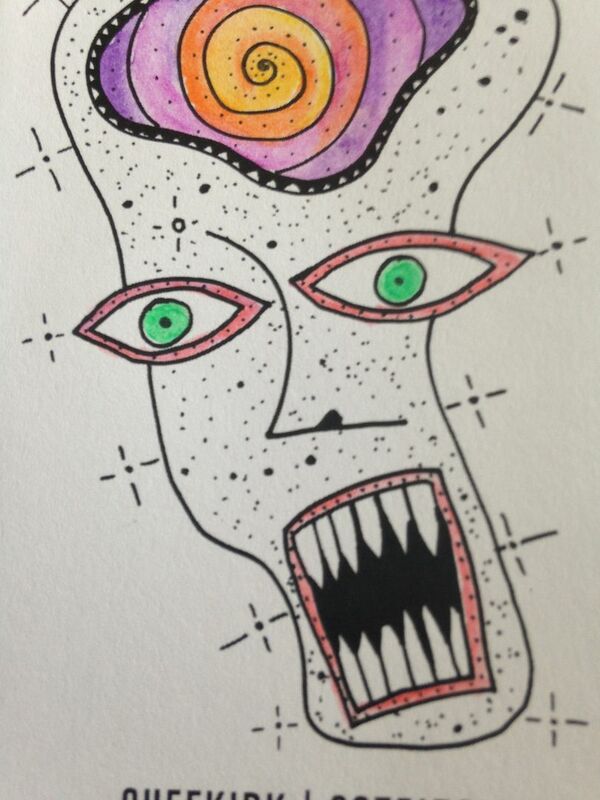 The sound builds and grows loudly, then quiets down again. Screeches somehow come out in the form of beats and I can't explain how or why you just have to hear it but it does actually happen. A helicopter or perhaps bomb ticking can be heard inside some static swirls and that overall feeling of static has remained throughout the majority of this piece. Funky beats come out and then something like typewriter glitch brings us to an end. On the flip side s27e152 starts with hollow static. The sounds of droids beeping (such as R2D2) can be heard and then the static is shifted to a cosmic vibe. Someone says something, but only for a moment in time, and then the sounds of birds chirping comes through rather loudly. A loud beeping comes out next and static swooshes still remain. There is skipping and singing, as if changing frequencies on a radio and before all is said and done brooding guitar notes seem to dominate the sound. What I like about this split cassette most is that not only could each side stand on its own but they seem to somehow compliment each other. 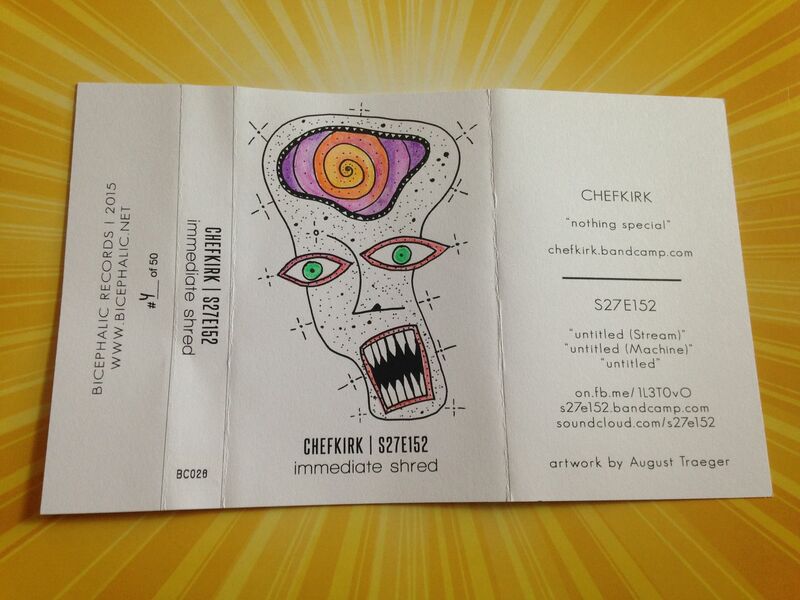 Chefkirk has this way of combining the experimental and odd sounds with something more structured. 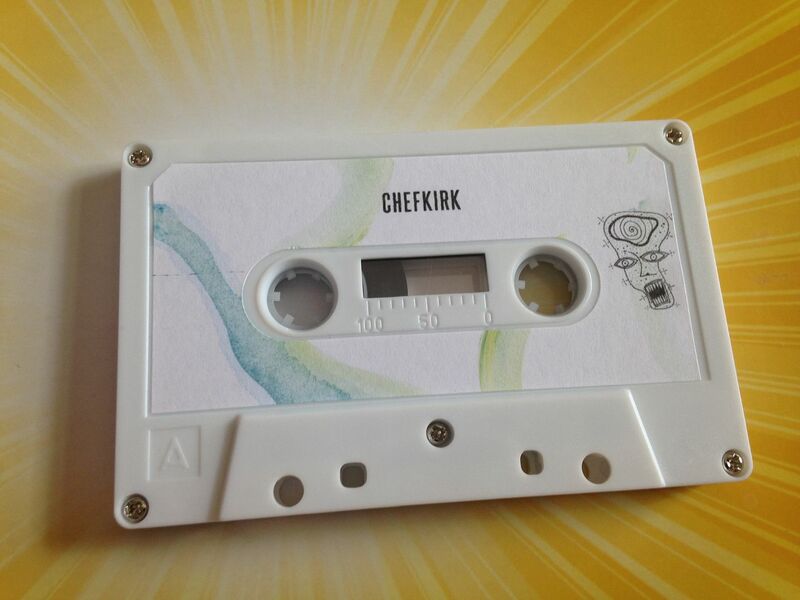 It's like Chefkirk can turn field recordings into instrumental hip hop and that's impressive in and of itself. Then, s27e152 has a more standard sound of static which builds to something else and much like Chefkirk it doesn't ever stay entirely in that "experimental" category as it eventually builds to the guitars. 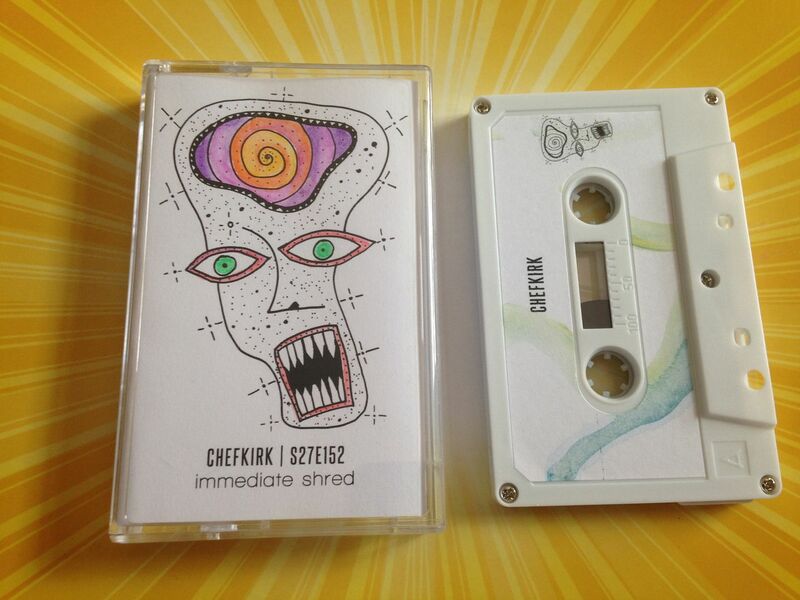 Chefkirk has that sort of "normal" sound, if you will, either built in or created by the non-traditional side of music and on the s27e152 side it starts out by being non-traditional and then builds to that sense of being "normal". So each side has somewhat of the same idea it's just that the execution of it is different but beyond all of that you should still be listening to what these two are crafting because they are each unique and special in their own ways.